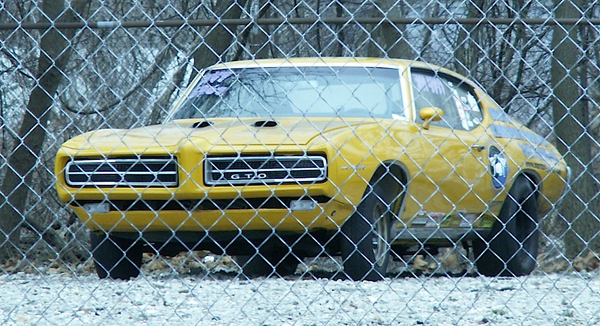 (Welcome to Day 3 of “Don’t Fence Me In” Week…) This 1969 Pontiac GTO is the second Goat in a row we’ve featured here with a questionable paint job. The previous one had a gazillion different hues (including “rust”) while this one could be called yellow-and-duct tape. From the looks of the tires (and decals) it seems like it was probably raced at some point. We found it penned-in by chain link in North Tonawanda. Jim Corbran, RRofWNY The post RealRides of WNY appeared first on Buffalo Cars.